SimSTAFF is the leading simulation training and technical Staffing Agency in Hamptons, VA. Our trusted technical recruiters serve a large number of employers ranging from small start-ups to mid-level companies to Fortune 500 corporations to government agencies. 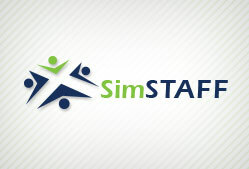 Providing services on both a local and national level, SimSTAFF works with clients across all types of industries, such as simulation, programming, and engineering, providing unique staffing solutions that connect them with highly skilled employees. Ideally, the recruitment process is just a common function in every company, where the HR Team handles the job, day in and day out. But the problem arises when a company needs to hire specialized employees for highly technical jobs, often in a short amount of time. With SimSTAFF, it all starts with just one call. We’ve built relationships locally in Virginia and nationally with the top companies and schools to find highly qualified professionals that can meet the needs of your position. Sometimes companies require temporary staffing or need to hire someone immediately, which means the recruiting process needs to be ramped up quickly, while still remaining effective. SimSTAFF has a qualified team of technical recruiters who have years of experience providing qualified candidates on your schedule. To fulfil immediate and large placement requirements, we utilize a unique recruiting strategy to meet almost any staffing needs you have. Our innovative and flexible hiring strategies have impressed our clients, and in turn they have entrusted us to manage their complete hiring and recruiting process. Our various staffing solutions allow companies to focus more on their business and less on hiring the right employee. We employ a screening process that was developed from over 40 years of recruiting experience. With every prospective candidate we conduct a background check and test behavioural aspects to check the employee’s ability to succeed in the culture and environment of your company. All candidates must also pass the basic proficiency tests and then go through a skills assessment that is conducted by our technical recruiting experts. With the help of the latest technology and our detailed assessment tools, we continue to place only the highest skilled professionals in technology related fields such as simulation, engineering, gaming and software development. The solution for all your recruiting needs is just a call away. No matter how difficult the task, SimSTAFF is ready to help. Contact us today to speak with one of our technical recruitment experts!